7.02PM: NEW details have emerged regarding a traffic crash at Miriam Vale today which claimed the life of a 40-year-old man. The accident occurred on the corner of Fingerboard Rd and Bindaree Rd at 11.40am and involved a four-wheel drive and two other vehicles. An initial police report said a Mercedes sedan travelling in a westerly direction on Fingerboard Road stopped to turn right into Bindaree Road, giving way to a Kia Cerato travelling in the opposite direction. 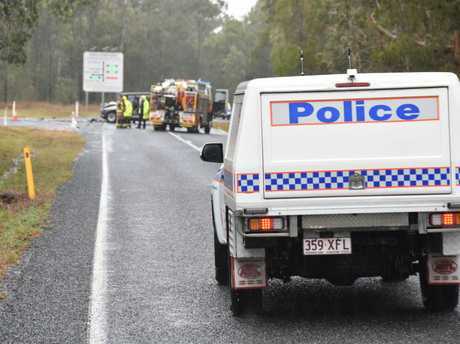 Police said a Nissan Patrol four-wheel drive following the sedan attempted to overtake it, travelling on to the wrong side of the road before colliding with the oncoming Kia as well as the sedan. The 40-year-old male driver of the Kia was pronounced dead at the scene. One of the vehicles caught fire, but was quickly extinguished by motorists who witnessed the crash. Debris lay strewn across both lanes of the road as a result of the crash, with the front end of the Kia and Patrol sustaining major damage from the impact. The accident caused Fingerboard Rd to be closed to traffic in both directions throughout the afternoon before reopening at about 6.30pm. 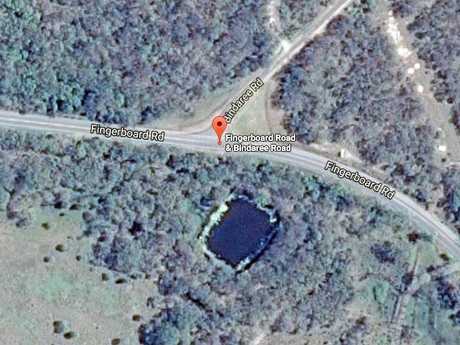 Traffic was diverted away from Fingerboard Rd but a number of people were stuck in Miriam Vale, unable to reach Agnes Water. The Forensic Crash Unit continues to investigate the incident. 4.47PM: A PERSON has died in a traffic crash at the intersection of Fingerboard Rd and Bindaree Rd at Miriam Vale. The person was not in the four-wheel drive with the three patients who were taken to hospital earlier this afternoon, but was in the other vehicle. Forensic crash investigators are currently attending the scene. 1.29PM: THREE people are being transported to Gladstone Hospital from the scene of a major crash at Miriam Vale. The three people are believed to be the occupants of a four-wheel drive involved in the crash, the other vehicle being a severely damaged car which is sitting near the intersection of Fingerboard Rd and Bindaree Rd. A young male child is one of the patients being transported, having received an impact to the head. The other two patients are a female adult who has received soft tissue injuries and an injury to her arm, and a male adult who was complaining of neck pain. All three patients are in a stable condition and left the scene in an ambulance around 12.45pm. A Queensland Ambulance Service spokeswoman said one other patient was assessed at the scene and has not been transported to hospital. Fingerboard Rd is currently closed from Blomfield St on towards the intersection with Bindaree Rd. Parts of Rosedale Rd are also flooded due to the morning's heavy rainfall. 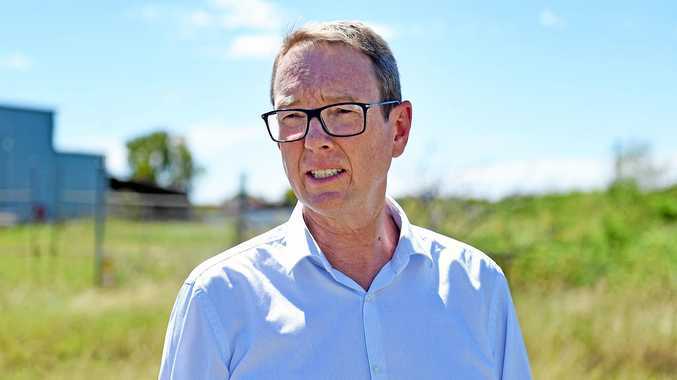 A police spokesman said road closures were likely to remain in place for at least the next couple of hours, and drivers should avoid the area. 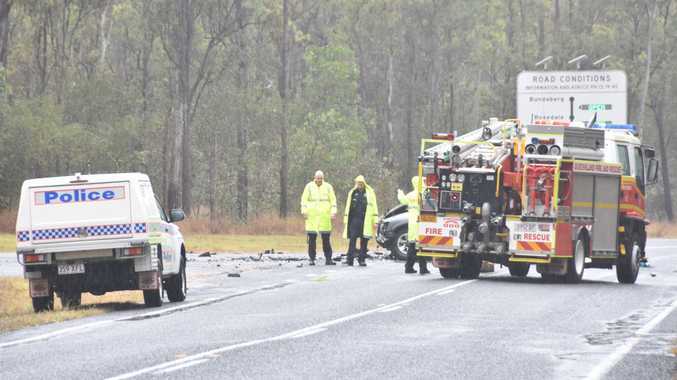 12:14PM: PARAMEDICS are rushing to the scene of a serious traffic crash at Miriam Vale. 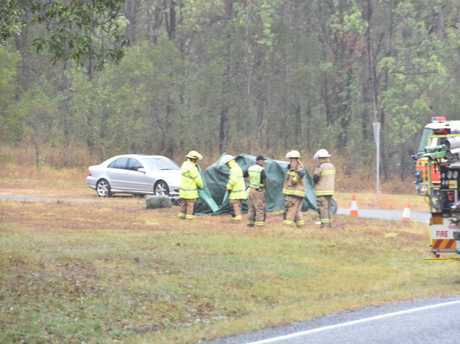 The crash occurred on the corner of Fingerboard Rd and Bindaree Rd just before 11.45am. Police and fire crews are on the scene, and traffic is unable to proceed along Fingerboard Rd. A severely damaged four-wheel drive is sitting in the middle of the intersection. Another vehicle is also believed to have been involved in the crash. A police spokeswoman said at least one of the vehicles' occupants is believed to have sustained serious injuries.